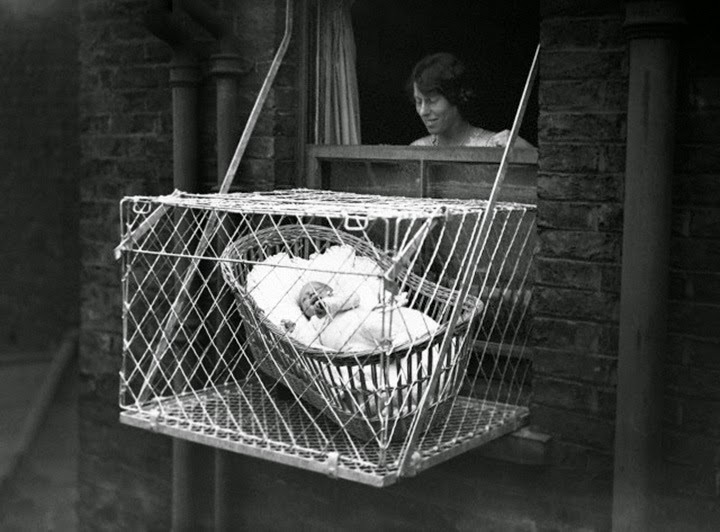 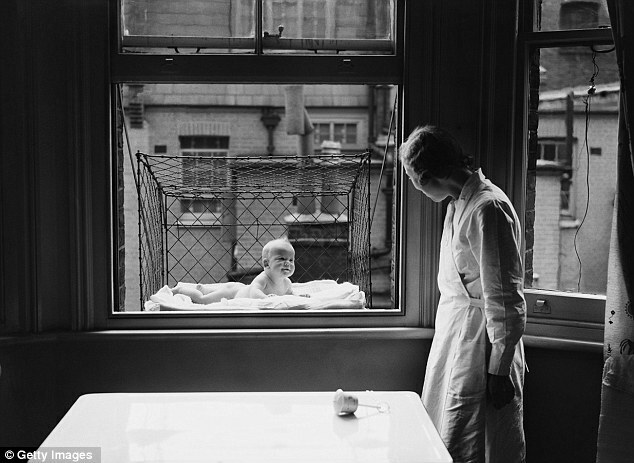 So, apparently in the 1930s, it was totally appropriate and cool to hang your baby out the window, in the air, in an open mesh cage, and people were super OK with this idea, like for real. 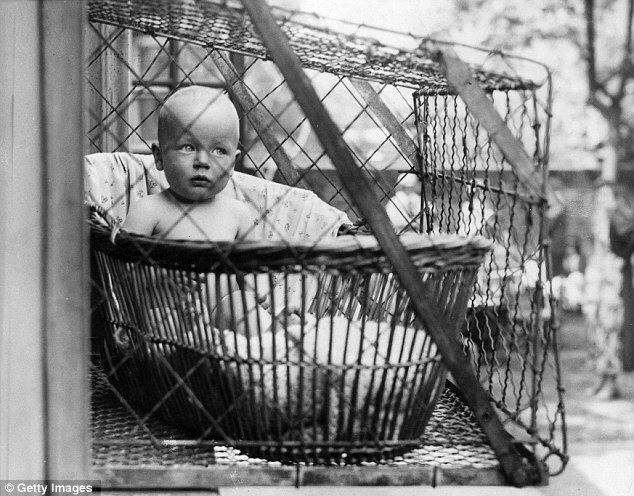 In 1906, Eleanor Roosevelt put her baby in a makeshift cage in order to air the little one out when things got too hot in their Manhattan apartment. 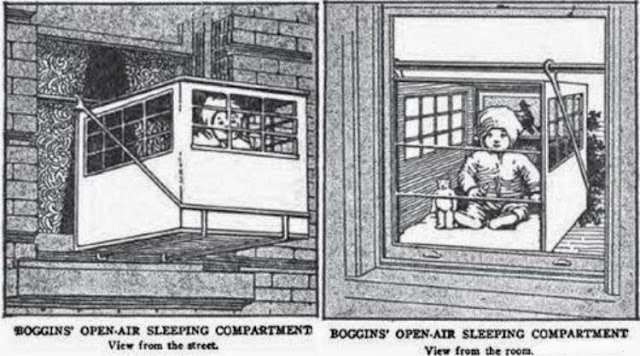 The neighbors threatened to call the police on the future First Lady, but no big deal. 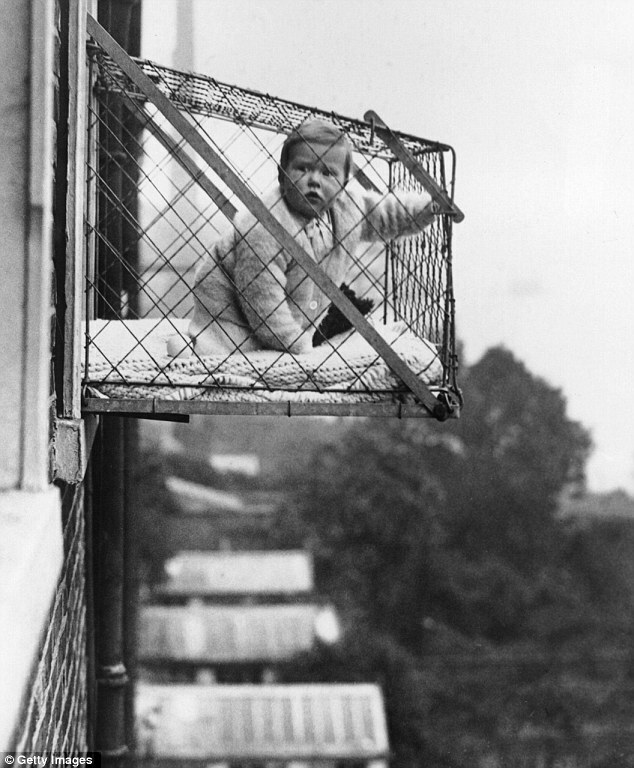 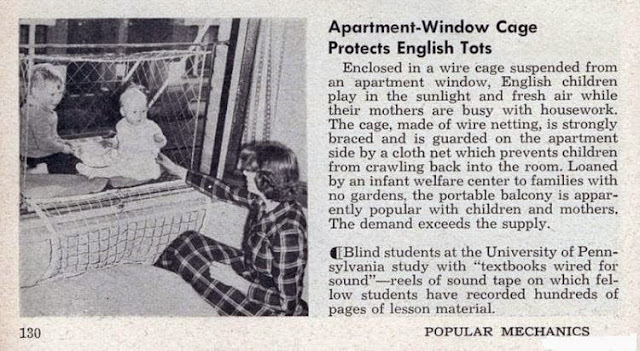 The parents from London were supposedly amazed by this “useful” invention and some London communities began outfitting windows with infant-sized cages for babies to hang out in. Here is also a commercial for the infamous baby cages. Watch it, cringe and just enjoy the fact that you were not a baby in the 30s.